MEXICO -- A powerful earthquake struck southern Mexico Thursday night, shaking the capital city, causing people to flee swaying buildings and knocking out lights to part of the city. 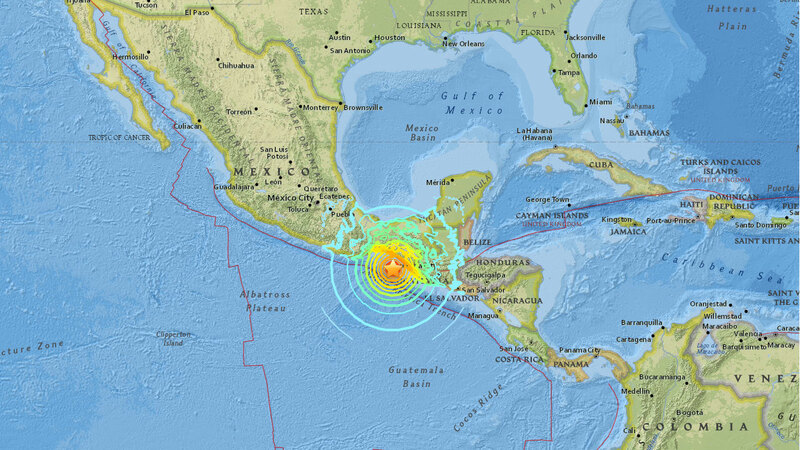 The U.S. Geological Survey said the earthquake had a magnitude of 8.2 and its epicenter was 102 miles west of Tapachula in southern Chiapas state, just north of the Mexico-Guatemala border. It had a depth of 18 miles. Even in distant Mexico City, the quake was felt so strongly that frightened residents gathered in the streets in the dark, fearing buildings would collapse. Several powerful aftershocks also appeared to hit the area. Tsunami waves have also been forecast for the area.